Where are the last gems of Thailand? 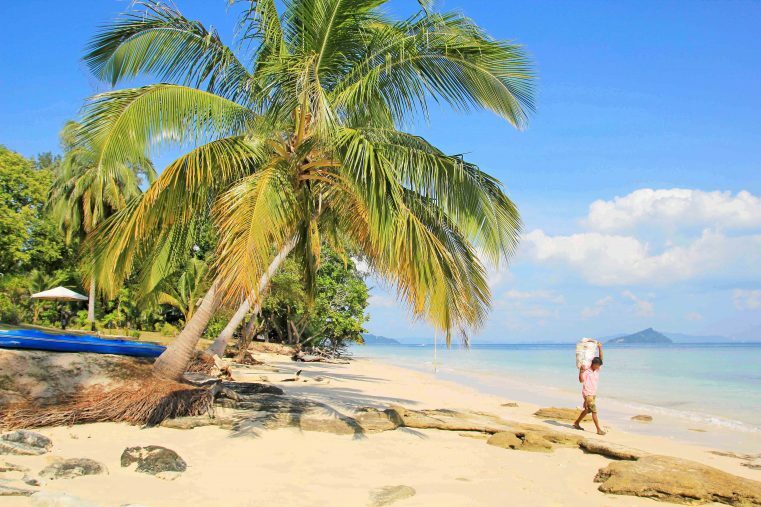 Are you looking for a quiet, idyllic and native Island ? A place far up from mass tourism, rave parties and 7Eleven? 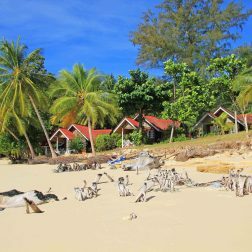 Visit Koh Bulon, a tiny island located in the Satun Province in the Andaman Sea and rated as one of the most amazing islands in Thailand. Without a doubt, this island is really unspoiled and far away from mass tourism. Generally it is the most perfect spot for couples, families and backpackers looking for an ultimate dream-island experience! Wow, what an island! 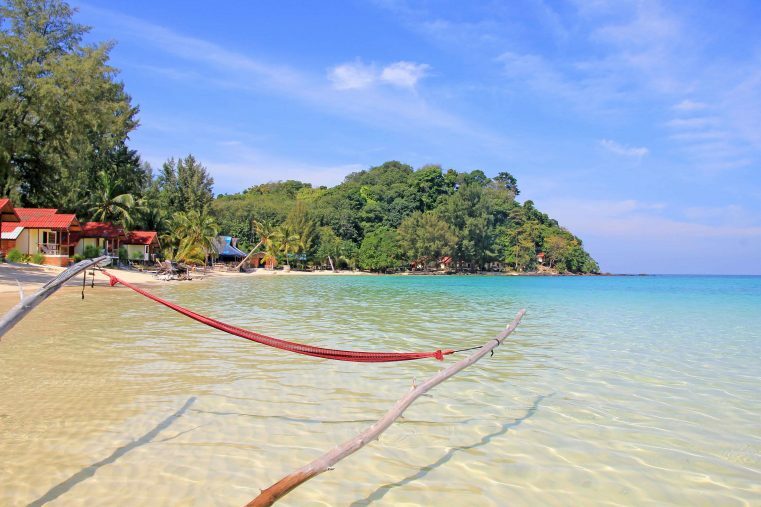 Koh Bulone is an perfect postcard island! 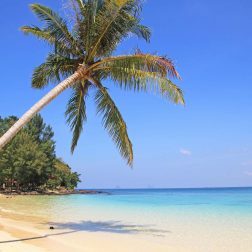 With its white sand, palm trees, turquoise blue water and one of the most beautiful beaches in Thailand that island is an dream for backbacker – And the best is, that this island is still an insider tip! 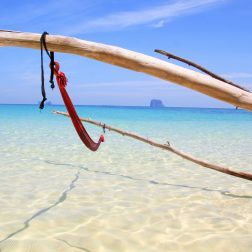 We had done lots of Island hopping in Thailand but Ko Bulon surprised us the most. If you are planning to see some of the best islands, you should definitely visit this beautiful place. Beside the amazing beaches, also the water is perferct clear. Sometimes you can see fish swarms with more than 100 fishes swimming around you and on the land you can even see very huge lizard’s. 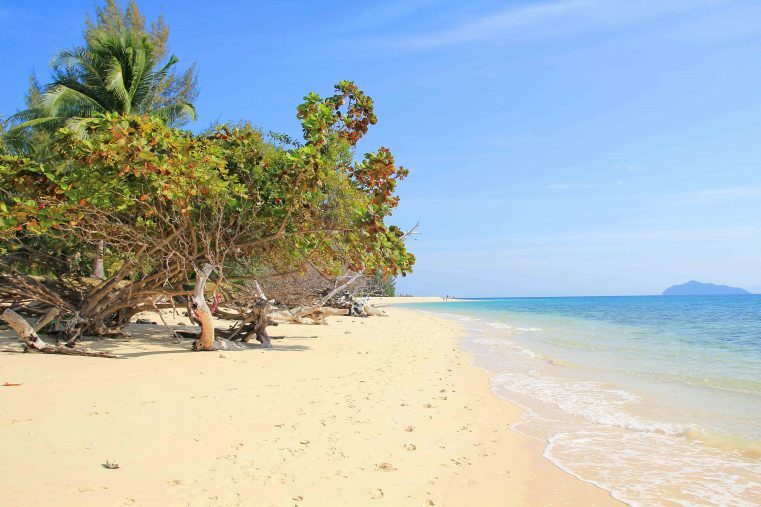 With all this impressions, Ko Bulon became quickly our favorite of all islands in Thailand. There is not realy much to do on this Island – probably that’s why it is also so special. 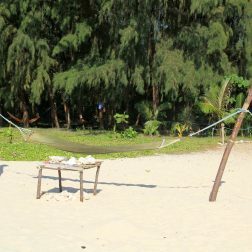 Just hang around all day in a hammock and enjoy the idyll! It’s so nice just to strawl around the beaches, playing some games with friends and hanging out in one of the few beach bars. If you are looking for banana boat, goa parties or fancy cocktail bars you are definitely at the wrong place. There are just a handful of cute beach huts, small restaurants and quiet bars. Instead of air-conditioning you will find in the most bungalows ventilators and most of the showers are cold. There are no ATM’s on the island, so make sure you’ll have enough cash. Soon you are going to get a real Robinson Cruiso feeling. The ideal place to calm down and escape the hectic daily routine. 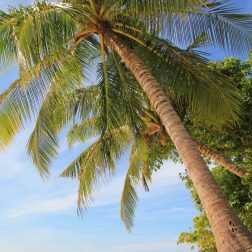 How to get to Koh Bulon? The island of Koh Bulon is pretty small so it doesn’t have its own airport. Getting there can be arranged by speedboat transport from the main land or the neighboring islands. 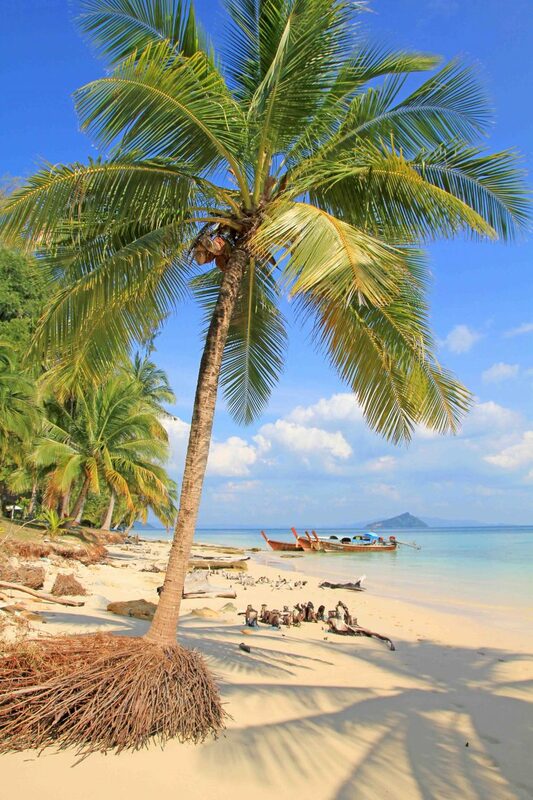 The nearest airport is in Trang or Hat Yai but you could also take a flight to Krabi. Tip: Tickets for flights can be easily found at Skyscanner or Kiwi. Note! The most hotels are closed from the period around June to October. 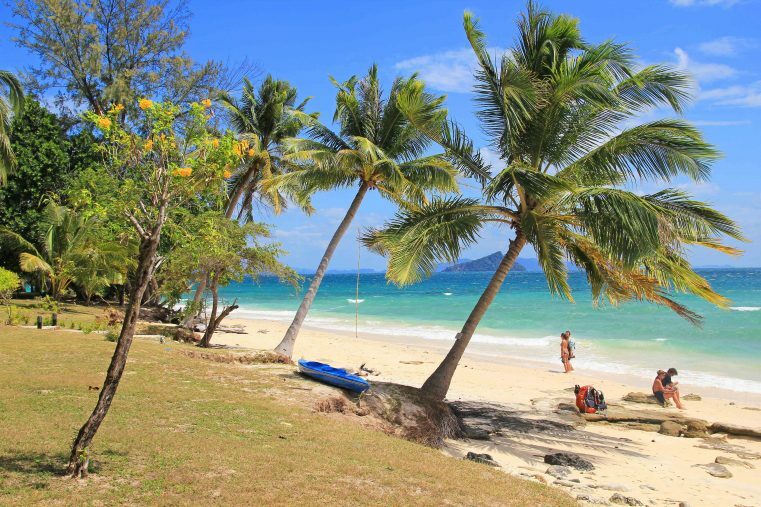 Koh Kradan – A Travel Guide to Paradise! This is a real backpacking paradise, Juma! I loved your pictures. How many days would you recommend staying in Ko Bulon? Wow, that really does look like incredible. I don’t think you can beat a deserted beach! You had me at Robinson Crusoe, my favourite childhood book! We were talking yesterday – in the depths of a rather snowy British winter – about getting some sun on our bones. I really feel as though I’ve had a little taste of that through your pictures. I’m also rather attracted by the idea of nothing to do but explore, and swim, and watch the wildlife. That island’s so very beautiful. Love this post! I adore Thailand, but must admit to always being a bit dissapointed that I never found my perfect paradise island a la Leo’s ‘The Beach’. Looks like you found it for me! I’ll definitely be checking this one out the next time I’m in Thailand!